Our preschool program at North Mahaska creates a challenging, engaging, and diverse environment that uses a research-based curriculum. Knowing that early literacy, cognitive development, social-emotional development, and physical skills are key to a successful child, our preschool offers the support for growing minds. We encourage learning through hands-on tools and opportunity for children to attain the specialized support they need in order to foster growth and positive learning experiences. Family and community are an integral part of these early years and our staff encourages involvement through volunteer opportunities, weekly email updates, phone calls and website updates. The preschool program is tuition free and offers transportation at no cost. Children who are 4 years old as of September 15 of the school calendar year are encouraged to attend. 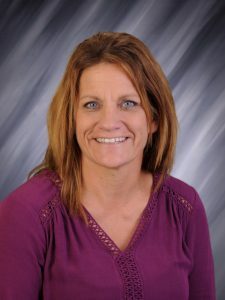 Lana has been teaching for over 20 years in early childhood education and enjoys the learning community created here at North Mahaska. Her favorite part of teaching is seeing the surprise and excitement when something new is learned. Lana encourages family involvement so they may experience the exceptional care that is provided to the students first hand and be an active participant in their child’s education right from the start.